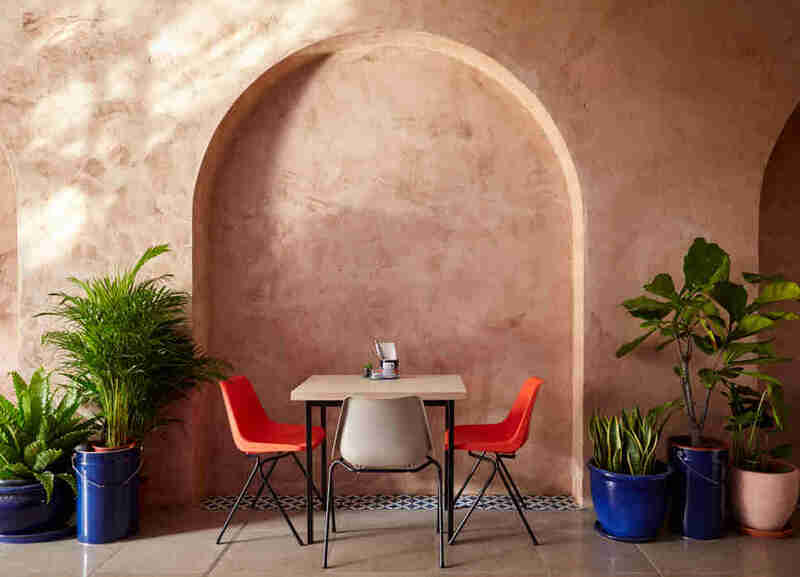 Even those of us who subscribe to all the food blogs, search for #newopenings, and cross town for soft launches find it hard to keep track of London’s newest restaurants; there just aren’t enough meals in the day. Better to wait for everyone else to eat their way around town and then draw up a shortlist so that you’re only eating at the cream of the year’s crop. 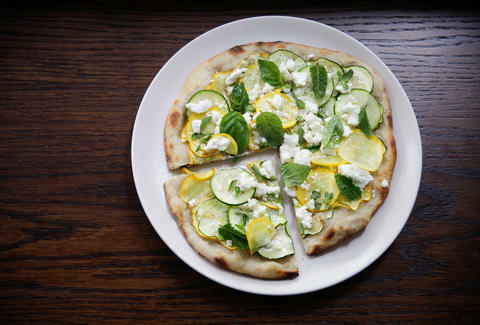 Read on for your very own edible to do list of 2016 -- 10 young restaurants where the food is unmissable. Newington Green has all the luck. They've got the city's best fruit and veg shop, a pub with a killer Sunday roast (Lady Mildmay, in case you're in need) and now a restaurant. 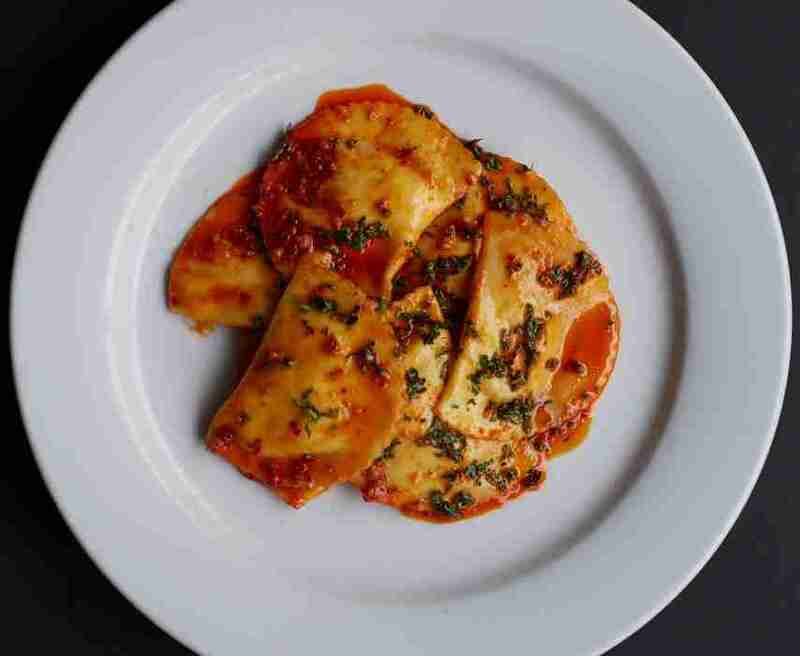 Perilla serves meat-light dishes that have all the expertise of an old-school, fancy pants, wine-pairing type menu, but taste so good they could be the modern definition of comfort food. Exceptionally fresh seaweed bread glistens thanks to a lamb fat glaze, cuttlefish bolognese is so good that you might swear off the trad version for life. It’s the least normal food in town, and you’ll go home dreaming of every last morsel. Everybody loves pasta, but what’s the point in ordering it when you have a jar of pesto at home? Padella is the point. Their pasta is so delicious and so reasonably priced that Italian nonnas far and wide are burning their aprons. Dishes start at £5, ingredients include the likes of Dorset crab, Neal’s Yard goat curd and Dexter beef shin, they have more wines on tap than beer. The only downsides are how cramped it is -- railway arches aren’t the most spacious venues, turns out -- and the queue. But you’ll forget about the chilly start and lack of elbow room as soon as your belly’s full of wonderful carbs. This modern Thai restaurant had already made quite the name for itself while in residence at Climpson and Sons in Hackney, so nobody was shocked when their Shoreditch restaurant was immediately packed full of people desperate to work their way through every flavour bomb on the menu. 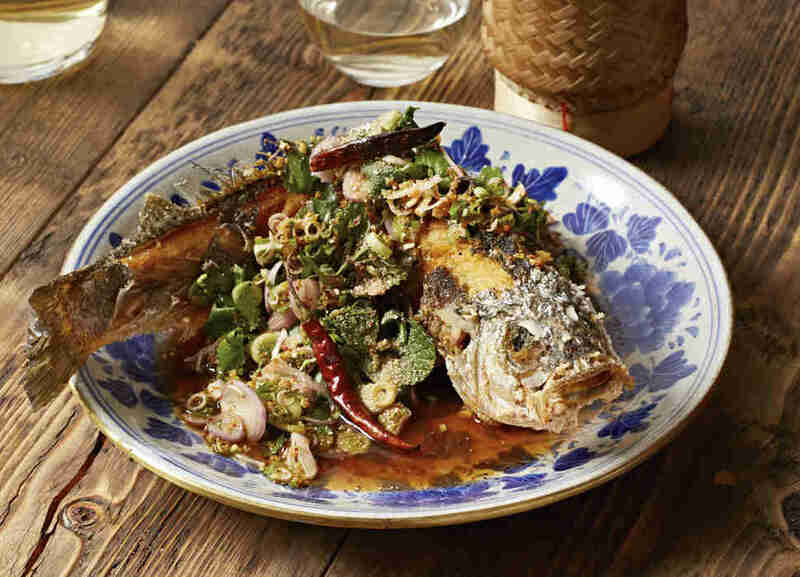 Food people of Instagram will easily recognise the deep-fried whole seabass, whose crispy eyeballs must get posted on a near daily basis, but skip it so that you can try more of the smaller dishes; every one is a fiery, fragrant winner. Cute Neal’s Yard has always been home to the more hippy-ish end of the restaurant trade, but The Barbary stormed in last year like your older brother’s handsome French exchange. Except it would be a Berberian exchange; the menu is all harissa, cumin, aubergine and halva. All the seats are in front of the circular open kitchen so that you will always see the magic happen. And you’ll want to see the fresh naans fly in and out of the tandoor, and your next snack charring on the robata grill: the anticipation only makes it taste even better. The little fluffy cloud buns are back, and this time they come with some tasty Taiwanese friends. The second permanent restaurant from team Bao offers XO sweetcorn in rich beef butter, soft duck hearts in chilli and garlic, and silky smooth soy cured egg yolks. 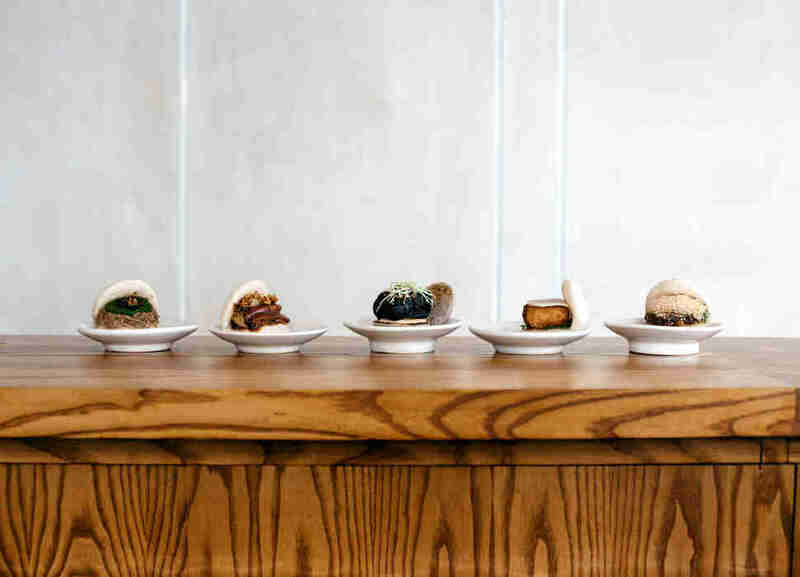 Obviously you absolutely must order as many of the bao buns as you can scoff, but this is a menu that can do no wrong so go wherever your hunger guides you. And eat as hungrily as the cartoon man on their logo. 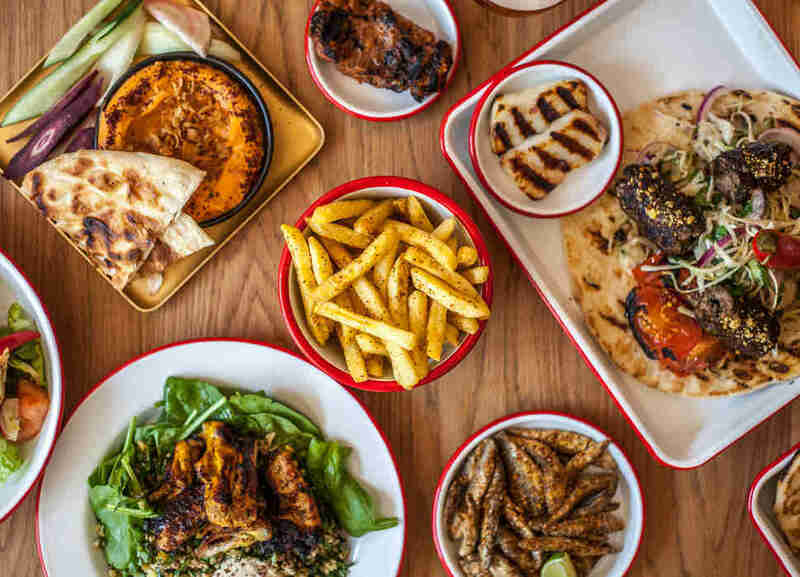 The kebabs at Bababoom are so far from greasy, late-night, rubbery doners that they shouldn’t really share their initial, let alone their name. You get fresh, herby salads piled high on Persian flatbreads alongside your perfectly tender meat of choice; cabrito kid goat adana sure as hell isn’t available in your local chippy. The place is bright and welcoming, the food fantastic, the frozen margaritas more boozy than they seem. Clapham is lucky to have them. 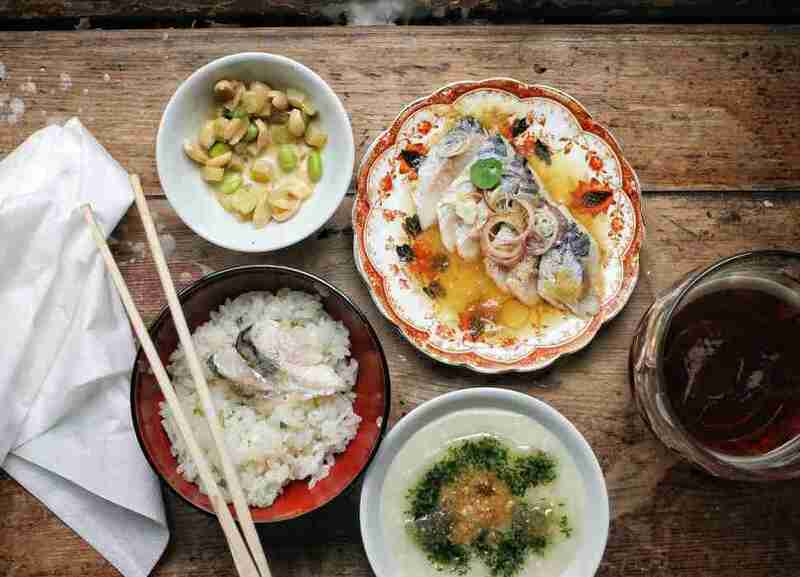 Who knew that Portuguese and Chinese dishes could merge so beautifully? Having launched their most unusual fusion food with occasional appearances at Druid Street Market, Zijun Meng and Ana Gonçalves put down dinner service roots in a Dalston café back in June. Go for perfectly cooked bowls of slightly sticky rice that are a vehicle for Iberica pork, giant octopus, marinated tofu or whatever treasures the chefs have plotted that day. 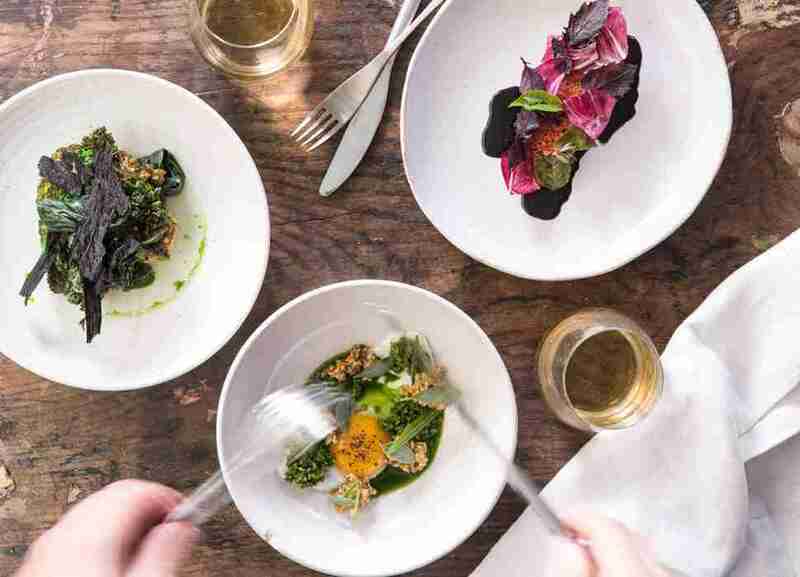 Michelin-starred Portland begat Clipstone this year, a less formal restaurant with a menu just as tempting as that of its grown-up sister. It charges slightly more manageable prices (wine from £3.50 a glass rather than the £6 Portland kicks off with) and has a brunch menu on Saturdays. Treat yourself to seasonal goodies such as Isle of Mull scallops with puy lentils, brown butter and dill, and save space for pudding. For a while it seemed Itamar and Sarit -- the husband and wife team behind charming Middle-Eastern Honey & Co -- were content with running just one teeny but lovely restaurant. Which was a pain because you had to book miles in advance and practically share cushions with whoever is sat next to you, stranger or not. 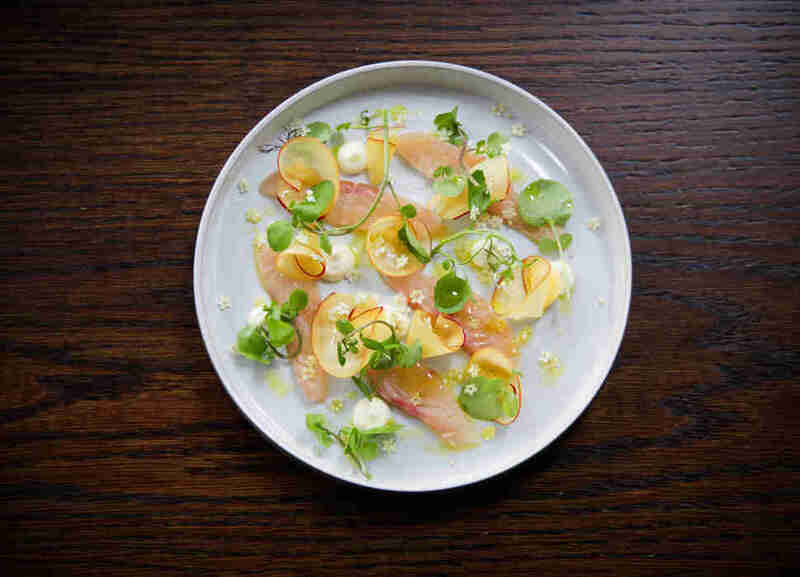 So London welcomed their second restaurant, Honey and Smoke, with open arms and empty bellies. 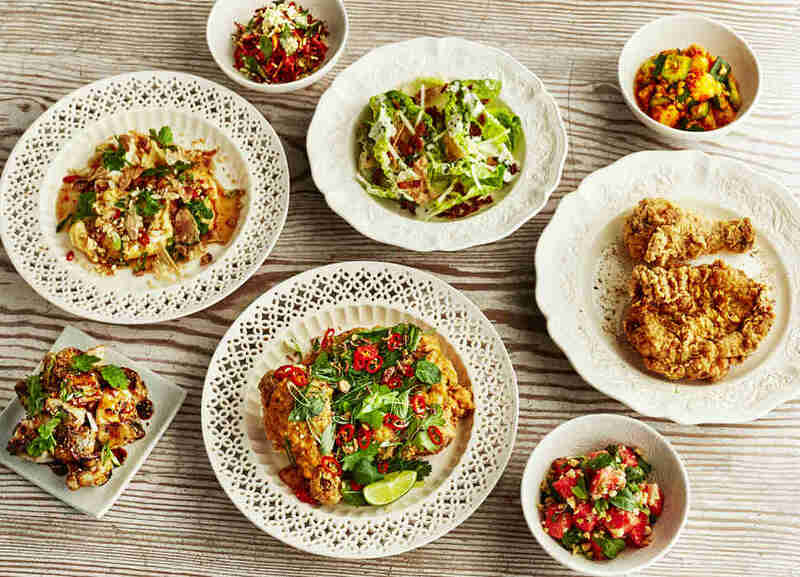 More wonderful mezze, more griddled meats and spice-heavy sides. More of what is surely the world’s best cheesecake. More food made with actual love by the Honeys. There are quite a few sequels on this list, but Chick ‘n’ Sours Seven Dials, despite serving exactly the same menu as the Dalston original, is more than deserving of a mention. Their tenders might just be the best fried chicken in London, the szechuan aubergine is crispy, squidgy, sticky joy, and their green slaw with ginger miso mayo is a real treat. And now you can eat it before the theatre, after an Oxford Street spree, between bars or basically any time you’re in central London and not already full. Ashleigh Arnott is a London-based food writer whose eyes are bigger than her stomach, but much less stretchy.